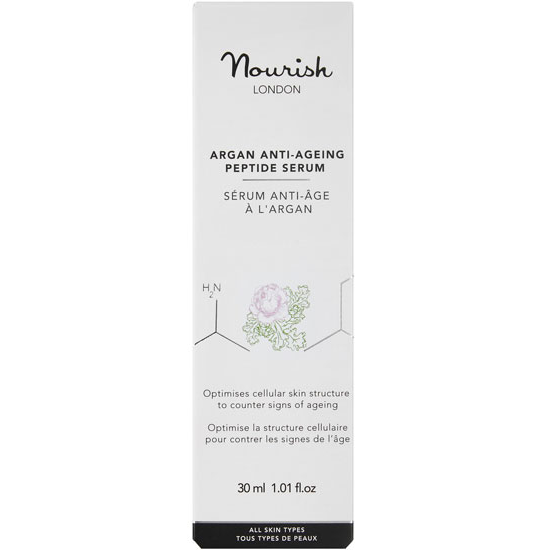 A superior anti-ageing formula from Nourish London, made with 92% organic ingredients and enriched with tripeptides to encourage collagen production, reducing fine lines, along with argan oil and hyaluronic acid which hydrate the skin for a healthier complexion. The added kale extract protects your skin from pollution and minimises signs of ageing. > Moroccan Argan Oil is rich in vitamin E and essential fatty acids to heal and restore the natural lipid layer. > Kale Extract is a rich source of powerful antioxidants, protecting skin cells from environmental damage whilst maintaining skin elasticity. 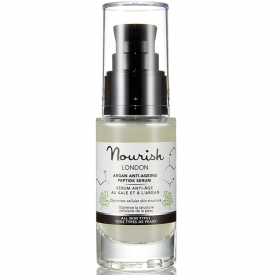 > Rose of Jericho protects against damage and promotes repair and rehydration. > Tripeptides stimulate collagen production and inhibit collagen-degrading enzyms to maintain skin’s structural integrity. > 100% natural. 92% organic. Vegan. Gluten free. Free from parabens, sulphates, petrochemicals, silicones, synthetic dyes, artificial fragrance or palm oil. > Origin: Made in UK. > Packaging: Recyclable glass bottle with pump in FSC certified cardboard box. > Shelf Life: Use within 6 months from opening. > Animal Rights: Not tested on animals. Cruelty free. Gently massage a small drop into skin with a circular motion. For deeper moisturisation apply to slightly damp skin. Formula will last for 6 months after opening. Aqua (water), Aloe barbadensis leaf juice powder*, Glycerin*, Argania spinosa (argan) kernel oil*, Brassica oleracea acephala (kale) leaf extract*, Palmitoyl tripeptide-5, Caprooyl tetrapeptide-3, Leuconostoc/Radish root ferment filtrate, Selaginella lepidophylla (rose of Jericho) extract, Niacinamide, Lactobacillus/Dipteryx odorata seed ferment filtrate, Calcium pantothenate, Hyaluronic acid, Sodium starch octenylsuccinate, Carnosine, Sodium ascorbyl phosphate, Pyridoxine HCL, Tocopheryl acetate, Lactobacillus ferment, Cetearyl glucoside, Glyceryl undecylenate, Xanthan gum, Levulinic acid, Sodium levulinate, Glyceryl caprylate, Helianthus annuus (sunflower) seed extract*, Dextrin, Silica, Maltodextrin, Olibanum (frankincense) oil*, Citrus aurantium amara (bitter orange) flower oil*, Commiphora myrrha (myrrh) oil, Citral, Farnesol, Geraniol, Limonene, Linalool. *Organic. Naturally present in essential oils. 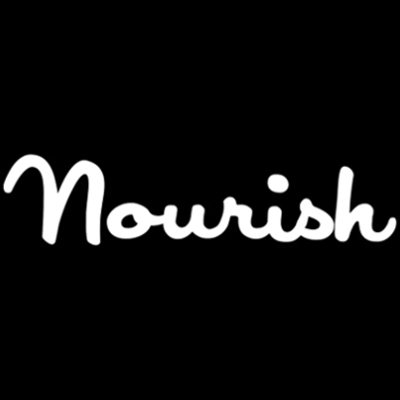 I rate Nourish product highly as they are ethically produced and high quality natural products. This is a great serum and I would by it again in future. 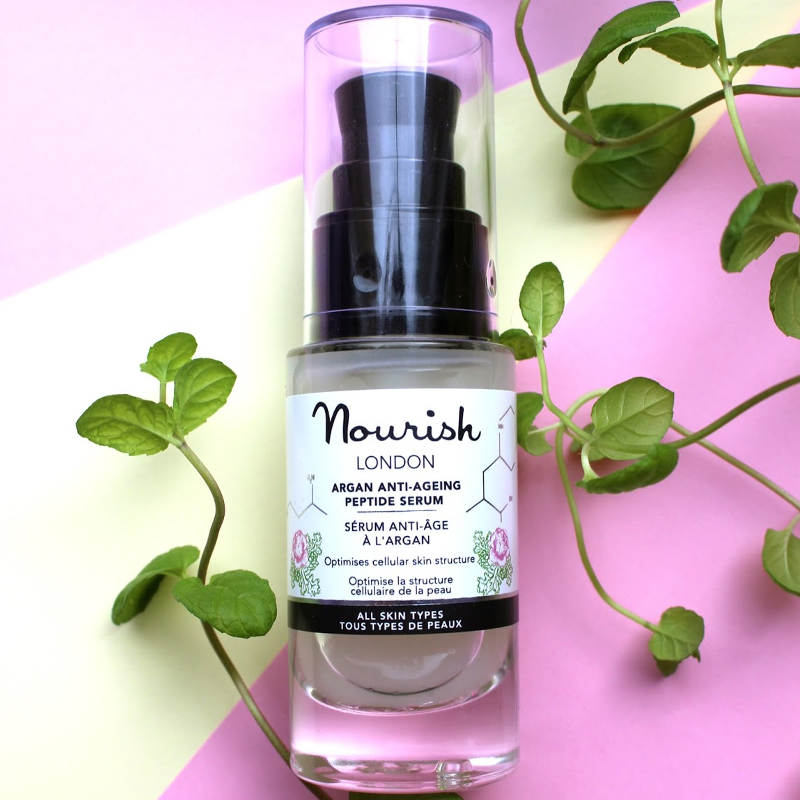 A really lovely rich, natural face serum that feeds my skin and makes it feel healthy and well cared for. "I rate Nourish product highly as they are ethically produced and high quality natural products. This is a great serum and I would by it..."